Another year, another baseball game for the PlayStation consoles. 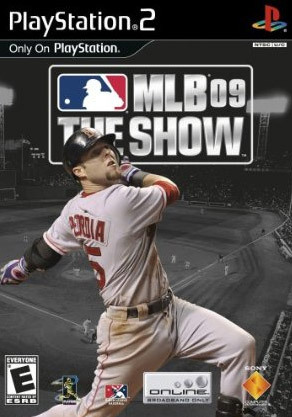 Does the 2009 edition of MLB 09 The Show improve upon last year’s addition enough to warrant another purchase? Gameplay-wise, not very much has changed. You still bat and pitch the same way that you’ve gotten accustomed to. 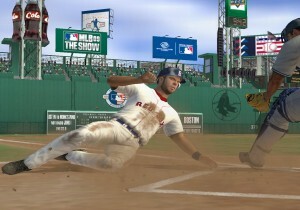 SCEA’s San Diego Studios has added in new animations for every facet of on-field action, which enhances the feeling of taking part in an actual MLB series. However, one part that I feel still needs tuning are the batting mechanics; I seemed to be getting way too many fouls when I was up at the plate. The graphics are as good as anything on the PS2. There really isn’t a whole lot more that the developers can do in terms of pushing the PS2 hardware, especially with the console entering its 9th year on the market. The player models are still impressive, and prove that the PS2 isn’t quite ready to call it quits. The stadiums are also remarkably detailed and accurate, from scoreboards to the advertisements on the walls. Even little touches such as the dust and dirt kicked up by players during the course of the game add to the overall believability. However, the stadium crowds are still just 2D cutouts. And while we’ve repeatedly asked developers to try 3D crowds for enhanced realism, it just hasn’t happened on last-gen hardware. The Online portion of the game is just as feature-packed as last year’s edition. You can create your own leagues and play full seasons with people online. And if that’s not your thing, you can always take part in a quick game or go into the lobbies and find specific rooms. Anyone can create custom teams and put them online for others to use for themselves. So if you ever happen to get tired of single player and local multiplayer, there’s still a robust online mode to check out and enjoy. Just to reiterate, this is a good baseball game by anyone’s standards. 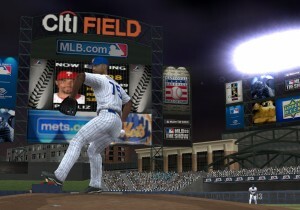 It has a fully-featured and functional online portion, as well as a chock-full single player mode that will keep MLB fans more than satisfied until next year’s rendition. So if you like to play baseball games or simply enjoy the sport, then I recommend picking this up. You will not be disappointed. Graphics really push the PS2 hardware. Batting mechanics could be improved. Extensive single player, and feature-packed online mode.